June is National Safety Month, aimed at promoting accident prevention and precaution at work, at home, or on the road. This month, we're encouraging everybody to look around and identify potential accidents and either find ways to reduce the risk, or have a set plan of action and the tools necessary to handle mishaps that do arise. There are several deals this month to save some money while investing in safety. 3M is promoting several products for National Safety Month that are necessary for facilities, factories or other workplaces with potential hazards. Consider hard hats for head protection, safety glasses and plugs for the eyes and ears, and particle respirator masks that filter out dust and other dangerous particles that could cause breathing problems. 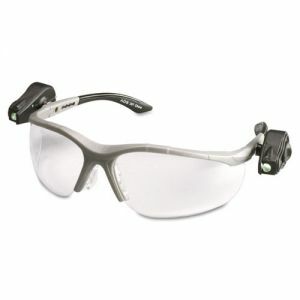 Some special items include corded ear plugs that are less likely to be lost when removed, and glasses with built-in LED lights that will illuminate dark places while shielding your eyes. Physicians Care is another brand riding the National Safety Month wagon (safely seated and belted in, of course). Check out this page to find many products designed to help keep you, your household and your office in good condition. 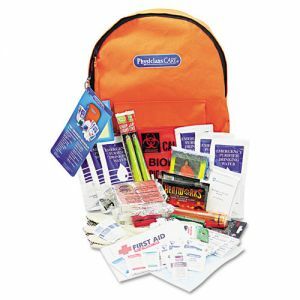 This includes first aid kits (along with refill packs), small pre-stocked first aid cabinets, packets of over-the-counter medicines, and disaster preparedness kits that include a blanket, a flashlight, and other emergency essentials. That's not all that's available for safety supplies. Check out our full range of safety equipment and gear, products that include smoke detectors, protective gloves and caution signs.